You can buy subscriptions, supporter subscriptions and single issues & find special offers here! 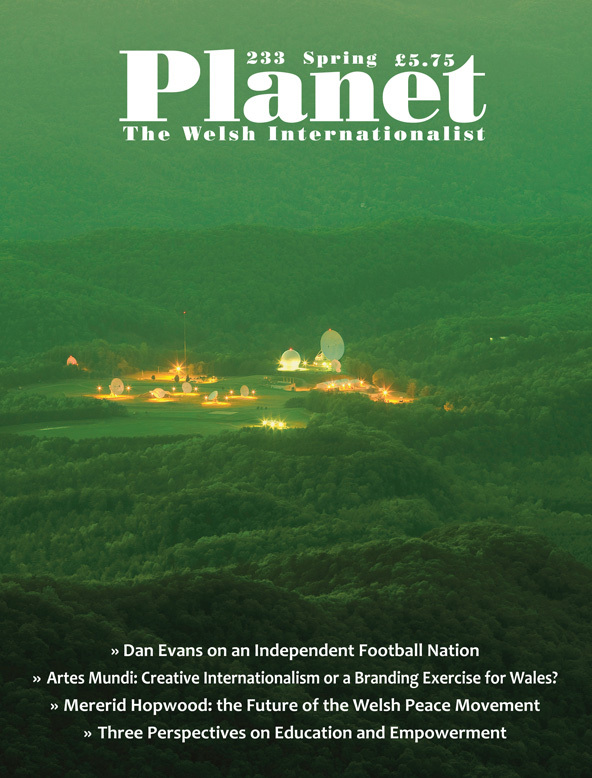 You can follow us on Twitter at @Planet_TWI and on Facebook at Planetmagazine CylchgrawnPlanet for news about the latest articles, news, special offers and much more! Planet is hosted in the Old College at Aberystwyth University. For more information about the New Life for the Old College project see https://www.aber.ac.uk/en/oldcollege/ Planet receives financial support from the Welsh Books Council and is sponsored by The School of English, Communication and Philosophy and The School of Journalism, Media and Cultural Studies at Cardiff University. For more information about how you or your organisation can support us please contact us here.